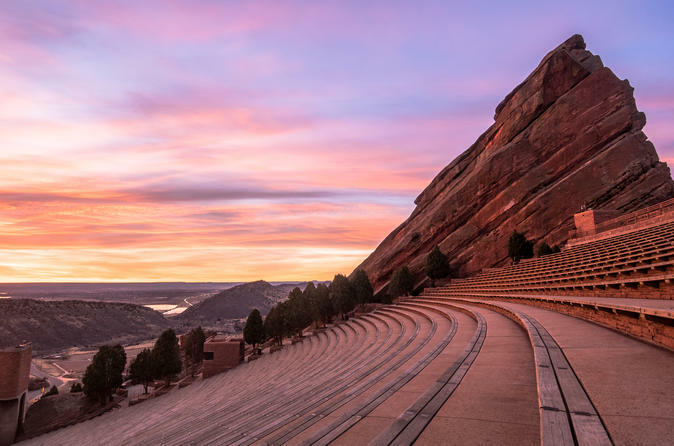 Your first stop is a visit to one of the best outdoor music venue’s on earth, Red Rocks Amphitheater, where music has echoed off the sandstone cliffs for decades. Heading up through Bear Creek Canyon, watch the landscape change as you approach the main street of Evergreen. Follow the scenic highway known as The Lariat Loop, to Lookout Mountain where sweeping views of Denver and the Front Range unfold below you. Wind your way back down the mountain through the town of Golden, where Coors brewery has called home since 1873, before returning to Denver. Optional stop: Dinosaur Ridge, where some of the world’s most famous Dinosaurs have been found. Seeing their footprints and the bones embedded in the rock is a great way to be taken back into a time before human existence, when the area was once a seabed. You will walk along the trail viewing fossils, footprints and amazing geological formations.